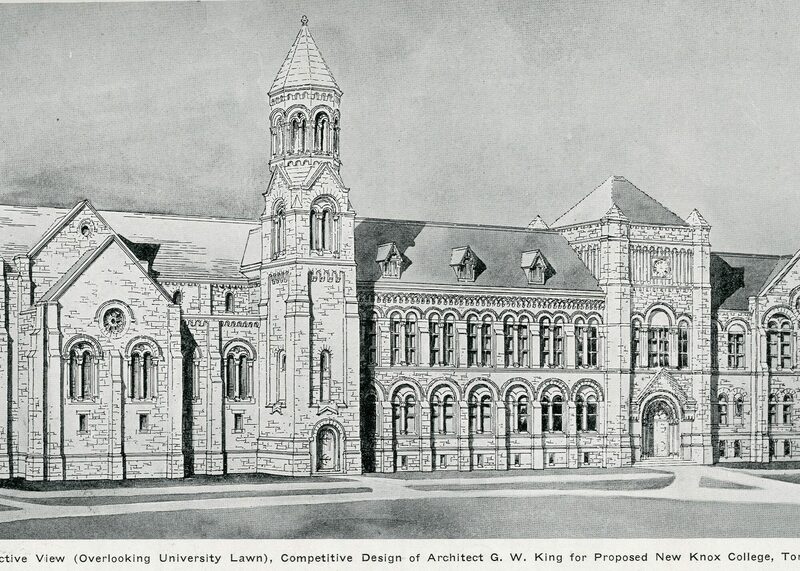 The current design was selected from among several designs competing for the chance to build Knox College. 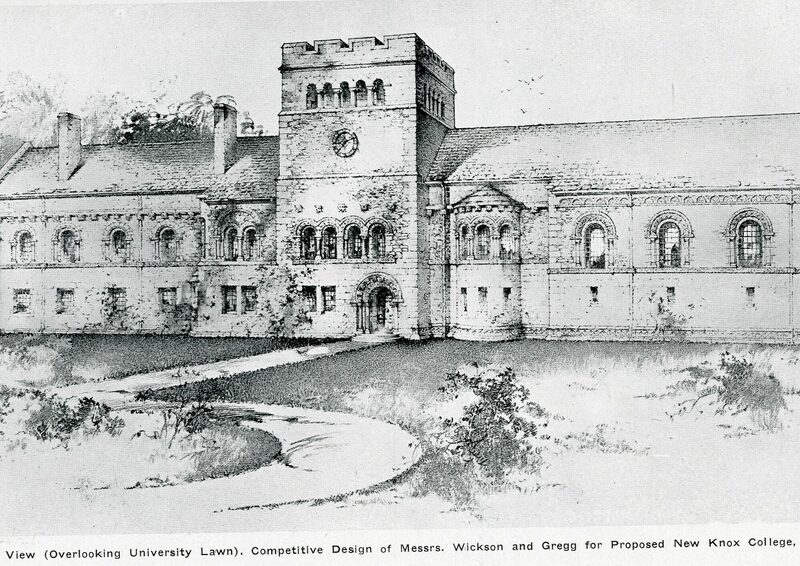 In the end it would be the firm of Chapman and McGiffin who won the competition for the right to build Knox College, beating out six other competitors for the contract. 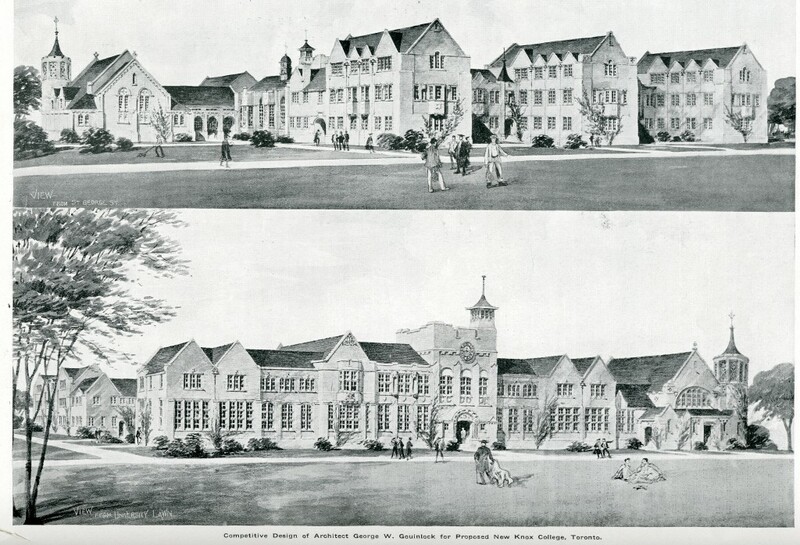 There were several specifications the Board of Management of Knox College required for a successful bid. 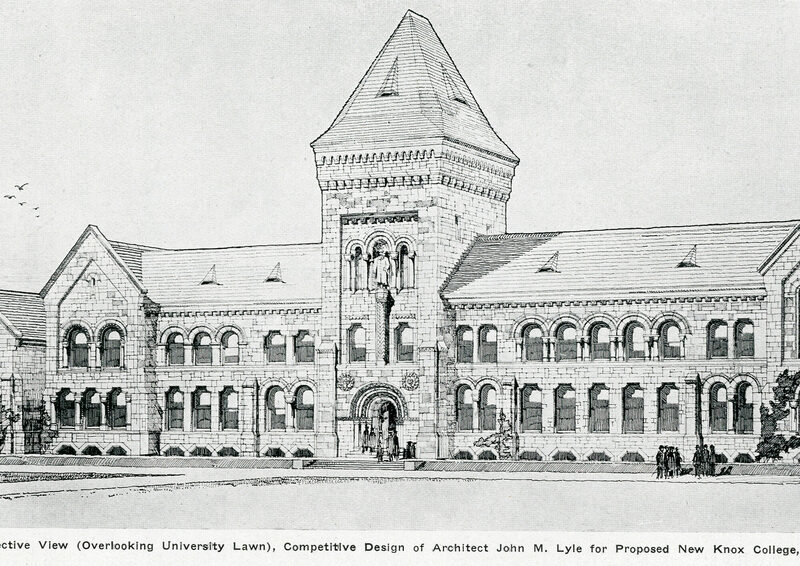 According to Construction Magazine, Knox College was looking for an architectural firm from Canada to create the design for the new building. 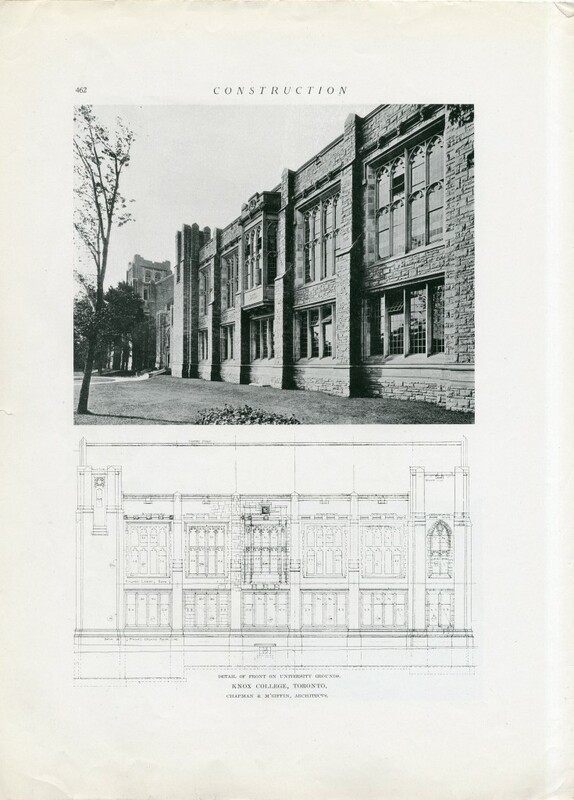 The award to the winner was $1000, the right to design the building and to superintend the building process. 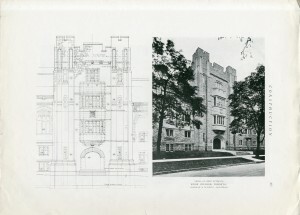 There were several specifications which included the scale the drawing had to be made to, the ink and fonts they had to use for their writing and drawings, page limits, various different restrictions on color, and the shades of grey allowed to be used. If these specifications were not followed, disqualification was possible. 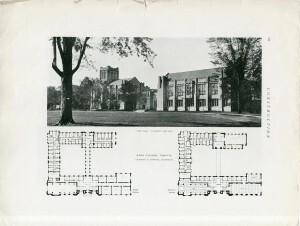 The Board gave architectural firms limits on the land they could use, specifications on how far out they could build on the university circle lawn, and how far into St. George Street they could build. The building was to have an academic block which contained the library, the chapel, and the classrooms, and it was to also include the student residences. There were also style specifications the designers had to consider, as it could not be made in a manner which resembled University College too closely. 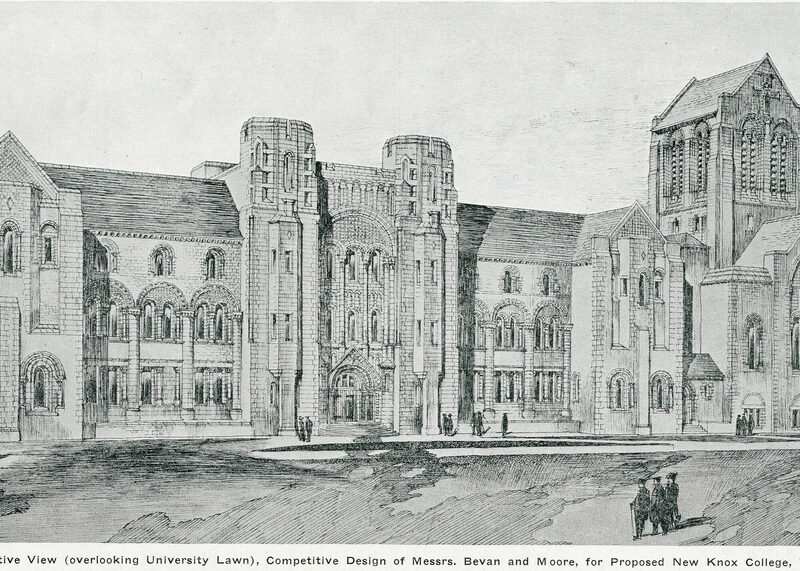 They did, however, want the style to complement University College. 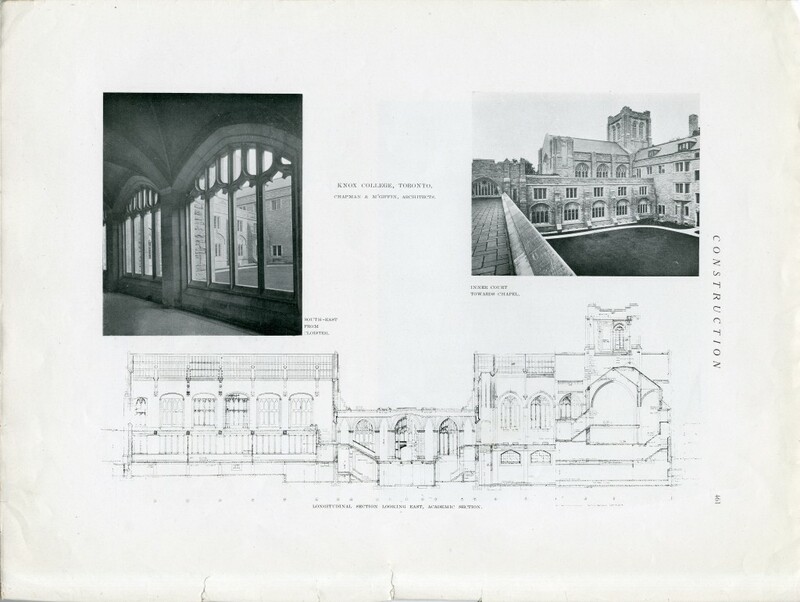 The Academic block also had to be made fire proof, addressing some of the issues they had with the old building’s Library. 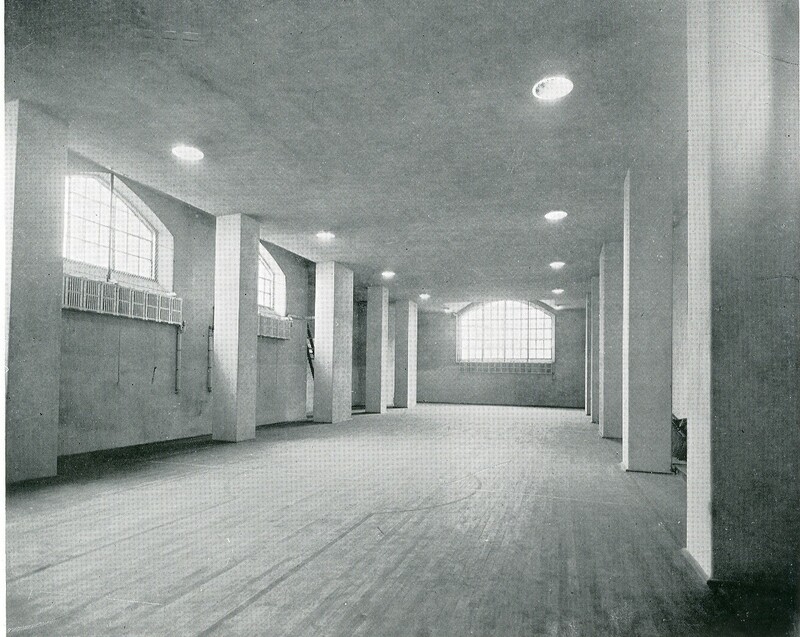 Various limits were placed on the size of the rooms in the academic block. 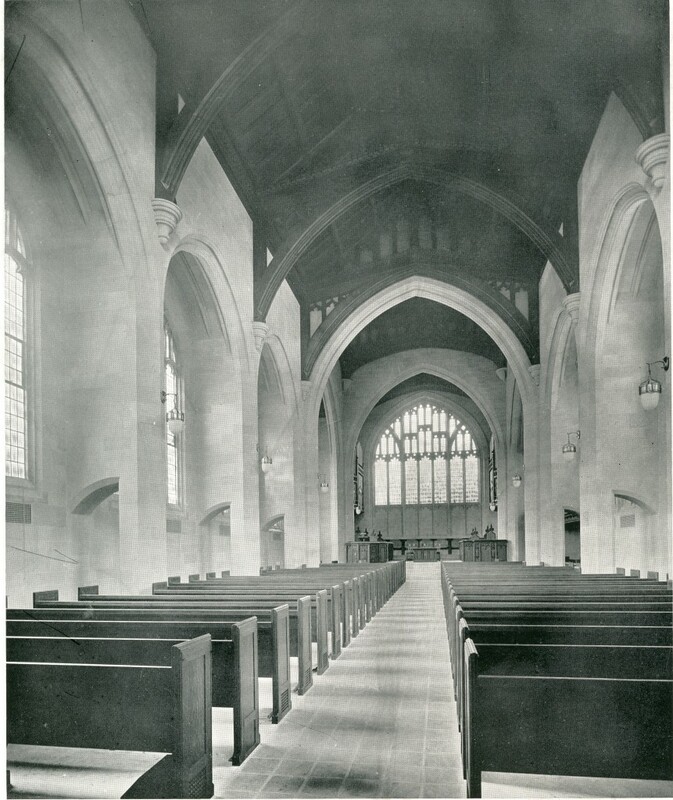 The Library was to be able to hold 75,000 volumes with a reading room large enough to hold 2000 volumes, and the Chapel was to be able to hold 450-500 people. The residences were built to hold 100 students and the rooms, were, for the most part, meant to house one person. 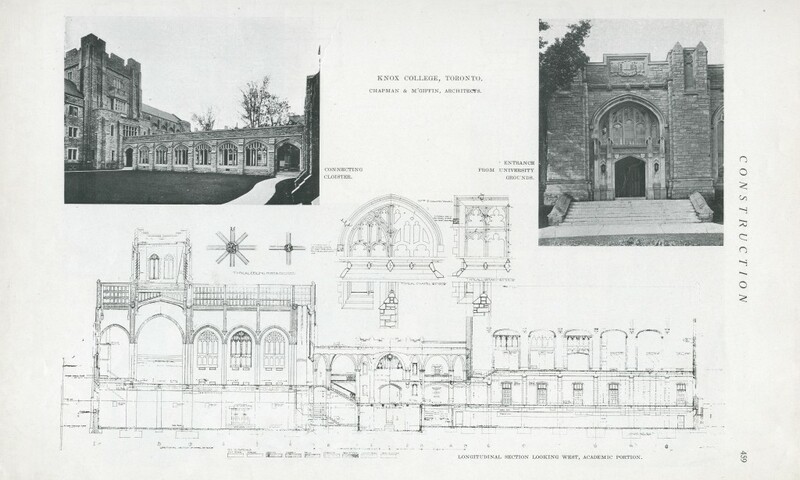 Out of the submissions made, McGiffin and Chapman offered the closest design to what they were looking for, and the one we are familiar with today. 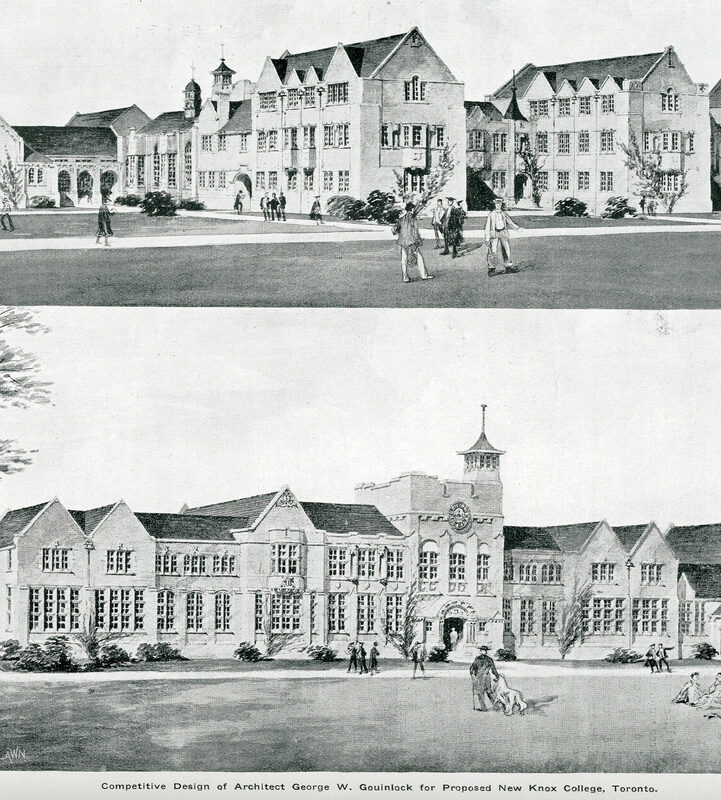 Although a few changes were made from their original design most of it remained the same. The cloister which links the two sections of the building was originally meant to be longer, but was reduced to make the two sections closer together so that it could seem more connected, like in the style of Oxford and Cambridge universities. 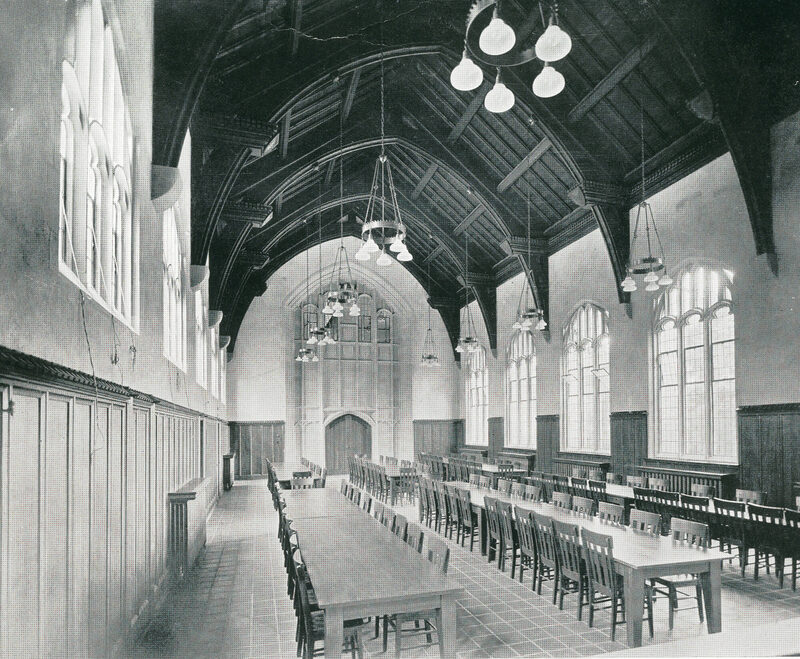 The dining room was also moved to the St. George Street side to make that area less monotonous. 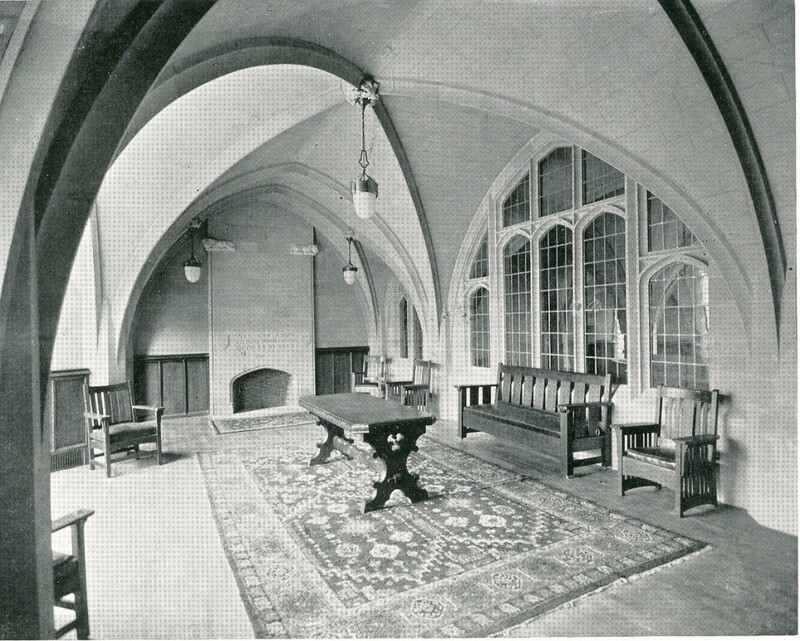 Instead of featuring only residences the dining room was meant to be a break in the design. The main entrance was also redesigned to be the Rotunda that exists today. 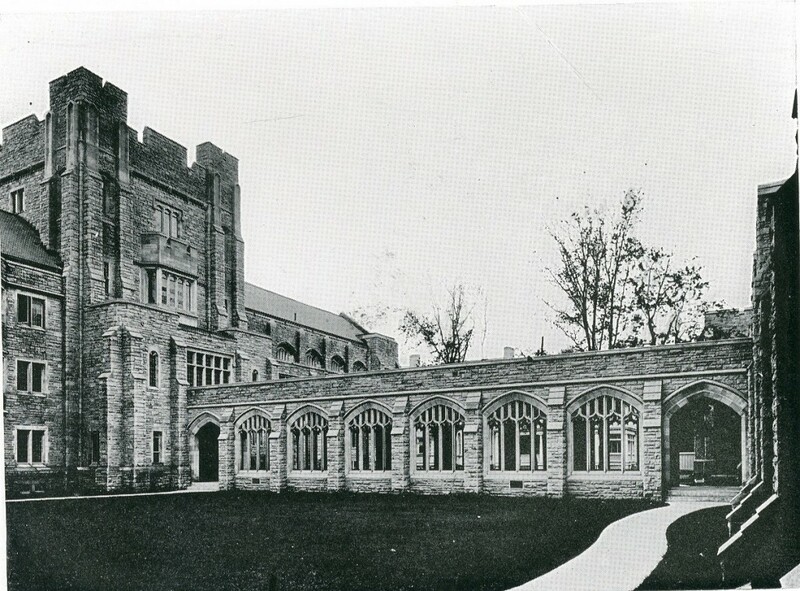 Construction of the current Knox College building began with a ceremony on September 26th 1912 to mark the laying of the corner stone. It was attended by several dignitaries including, Sir John M. Gibson the Lieutenant Governor of Ontario, Principal Gandier, Rev. D.G. 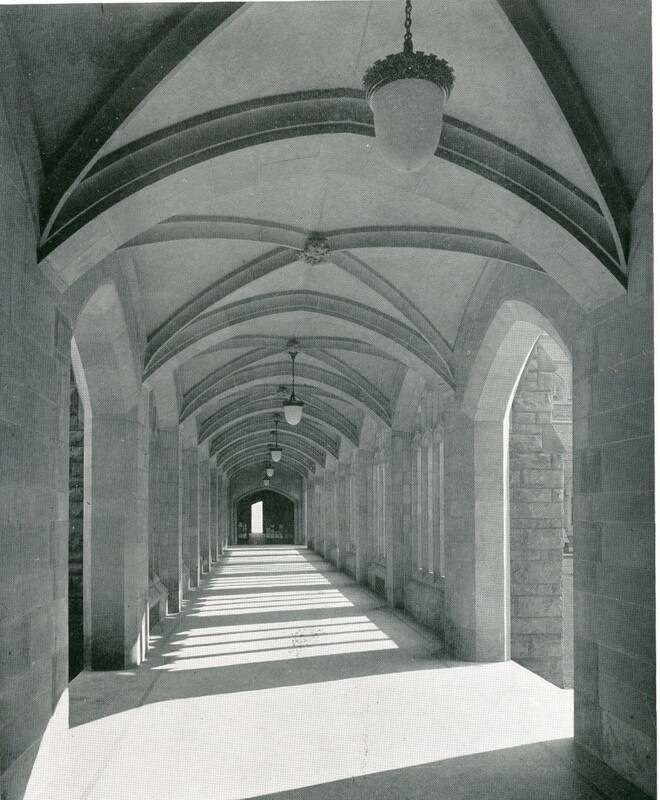 McQueen the Moderator of the General Assembly that year, University of Toronto President Falconer, just to name a few. 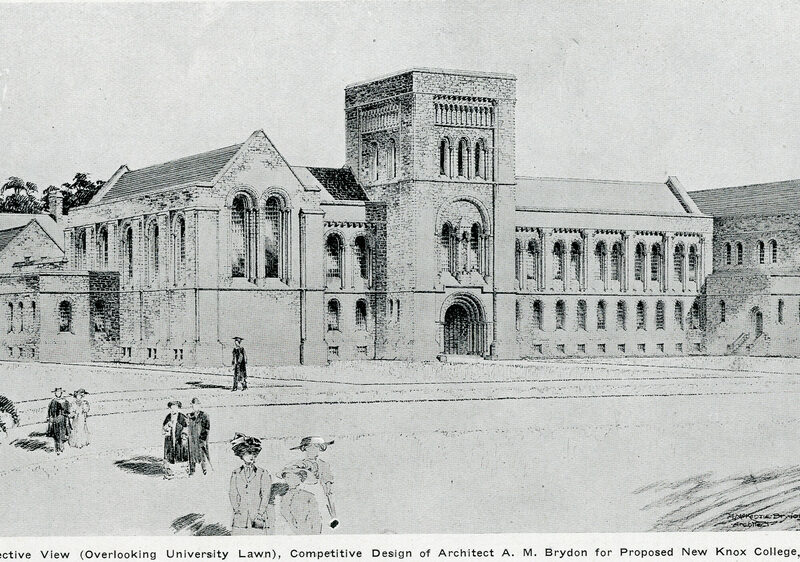 Construction was completed on September 29th 1915 in time for the beginning of the academic year. 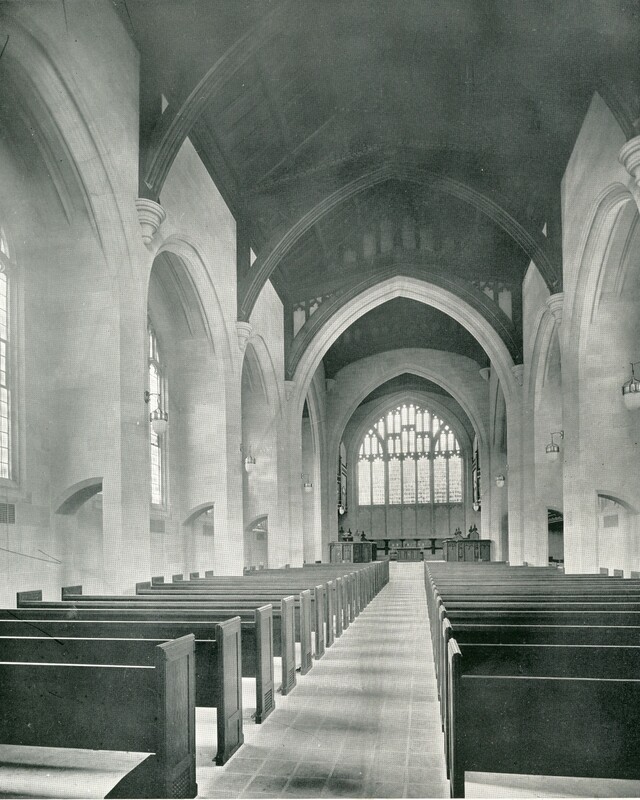 The building cost approximately $570,000 to build, and the library stacks cost $10,000, furnishing and the finishing work in the Chapel cost $25,000. 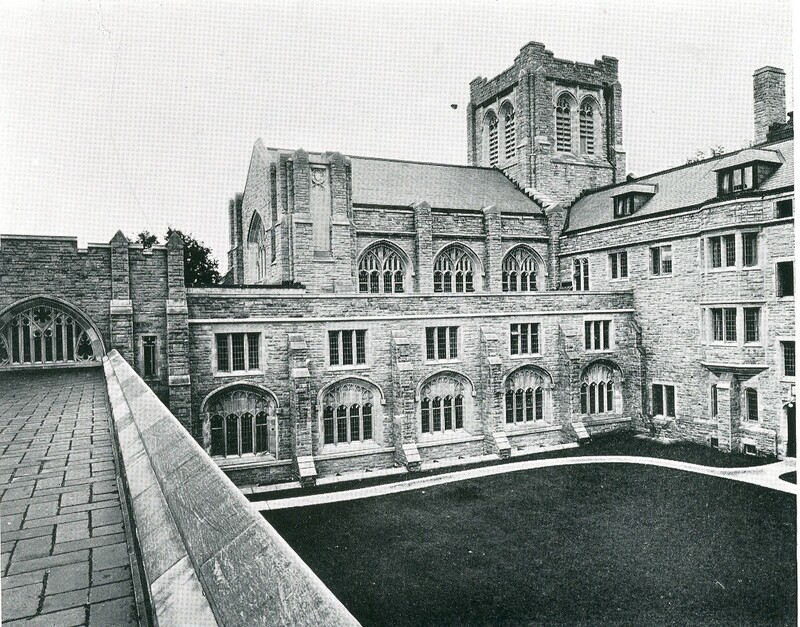 The building was constructed with the proceeds from the sale of 1 Spadina Crescent, which contributed $220,000 to the cause of the building, and the rest of the money came from various different contributors to the College.